Like many others, New Super Mario Bros. Wii has become an instant classic. The more I traipse through the Mushroom Kingdom, the more the plurality of 'Mario Experiences' Scott described recently rings true. I am a more vengeful Mario player than my couch compatriots. If Luigi snags that extra power-up, I will toss him into nearby enemies with jovial enthusiasm. In dangerous levels however, I will restrain my malevolent behavior and more readily cooperate. NSMBW is brilliantly designed to facilitate this mixture of altruism and antagonism. A more competitive Mario-verse could have easily lead to some frustrated Toadstools. I am no stranger to gaming hostilities. I had a friend mad at me for months over a particularly vicious game of Settlers of Catan and have witnessed hour long arguments while playing the Battlestar Galactica board game. I have a new appreciation for a design philosophy that encourages 'friendly competition' and welcome its presence amongst its hostile siblings. The most clear examples of friendly competition I can conjure are actually board games. 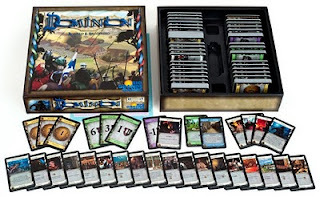 Dominion, designed by Donald Vaccarino and published by Rio Grande, is a strategic deck building game. Players compete for high scores by adding point cards to a growing deck of ability cards and money cards. Scores are tabulated at the end of the game, with triumph going to the most efficient and strategic deck creator. While competitive, Dominion is not explicitly combative. Some have called Dominion a game of competitive-solitaire, since most cards available for purchase have little-to-no effect on other players. Opponents, by and large, mind their own business. If they did feel like meddling, most players will have a hard time keeping track of opponent progress. Since points are calculated when the game is over, and come-from-behind-victories are frequent, players are seldom sure who, if anyone, should be most reviled. Even if someone were to earn the displeasure of her competitors, she cannot be isolated and attacked individually. The few cards that affect other decks negatively target all players indiscriminately. The game's design encourages chit-chat and idle banter rather than heated and hostile discourse. Carcassonne creates a similar sense of friendly competition. 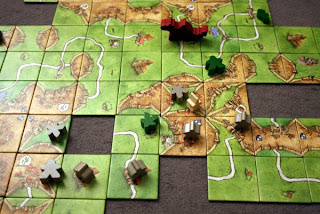 Designed by Klaus-Jürgen Wrede and also published by Rio Grande for its English release (also available on XBLA), Carcassonne is a tile-based land management game in which players compete for points by building and claiming roads, farm lands, and castles. Low-level players tend to mind to themselves and try to gauge the risk of expanding their territories or score easy points. High-level players are more hostile, intentionally encroaching into other people's territory or encircling castles with roads to curb expansion. The most hostile Carcasonne player can manage, at best, indirect attacks against a single opponent. Random tile draw will mean, however, that even the worst intentions may be thwarted by luck. Players that do encroach on another person's castle will end up sharing wealth, not stealing it. Competition inherently leads to cooperation as both players invested in a castle have an incentive to complete it. When points are finalized and calculated at the end of the game, players are more likely to chock up a loss to chance rather than the malign intentions of their friend. These two board games are very different from NSMBW, but foster similarly friendly attitudes during a potentially competitive experience. Carcasonne and Dominion limit direct hostility while New Super Mario Bros. Wii demands cooperation when it matters most. The design philosophy of these games is founded on the belief all players should be having fun, even when they are negatively affected by real-life players. In an interview with a Brazillian blogger, Donald Vaccarino states "my games struggle to be non-political, with things such as Dominion's attacks that hit everyone else rather than targeting a specific player. This goes back to evenings of whining about who gets the robber in Settlers of Catan." 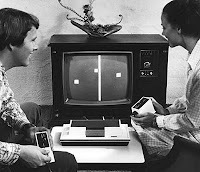 Gamers are familiar with competitive behavior, particularly in online matches, which is often ignored as a by-product of anonymity. Level design that demands cooperation, player-neutral attacks, and vague progress tracking are just a few ways to develop amiable behaviors during competitive games. When a game calls for real life multi-player participation, designing a game around 'friendly competition' can go a long way towards maintaining the flare of rivalries without fueling hatred.